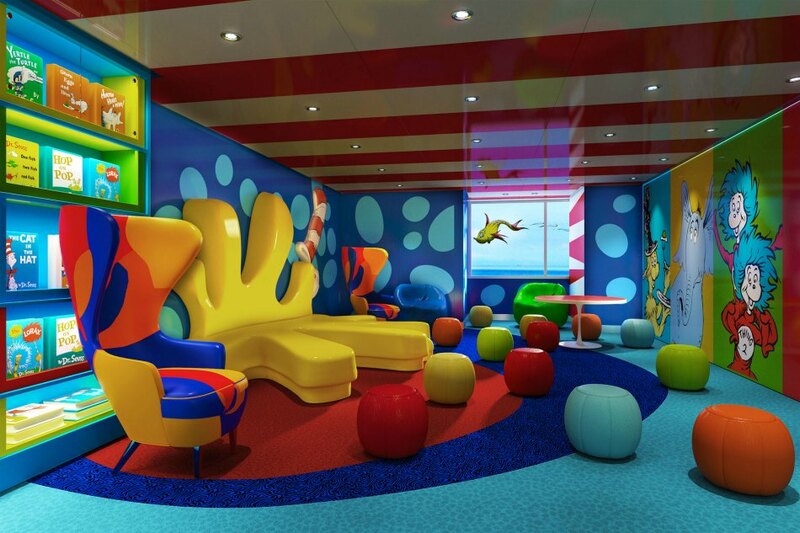 Carnival Cruise Line has just revealed the very beginning of the construction of their 26th ship in their fleet. 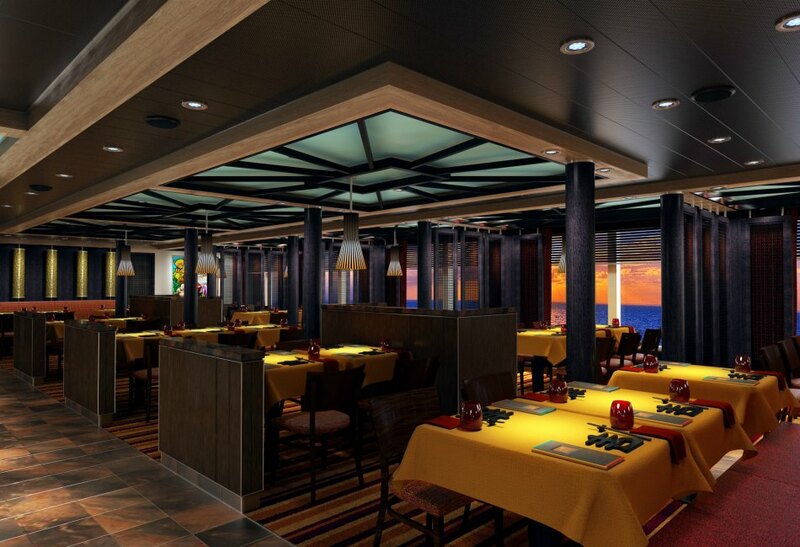 Carnival Horizon will be the second ship in the Vista class, along with Carnival Vista, and will officially arrive early 2018. 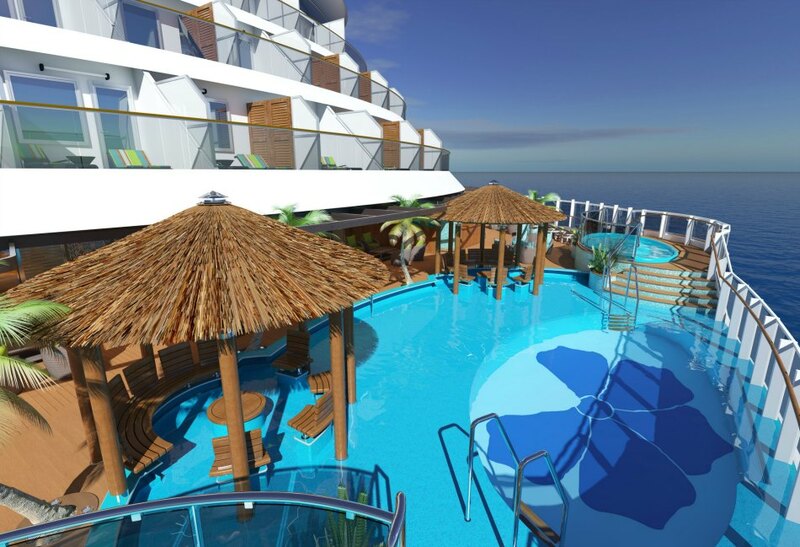 The ship is currently under construction at the Fincantieri Marghera shipyard in Italy and is still yet to hit some major construction milestones, including its first float out onto the water and the beginning of the fitting out phase. 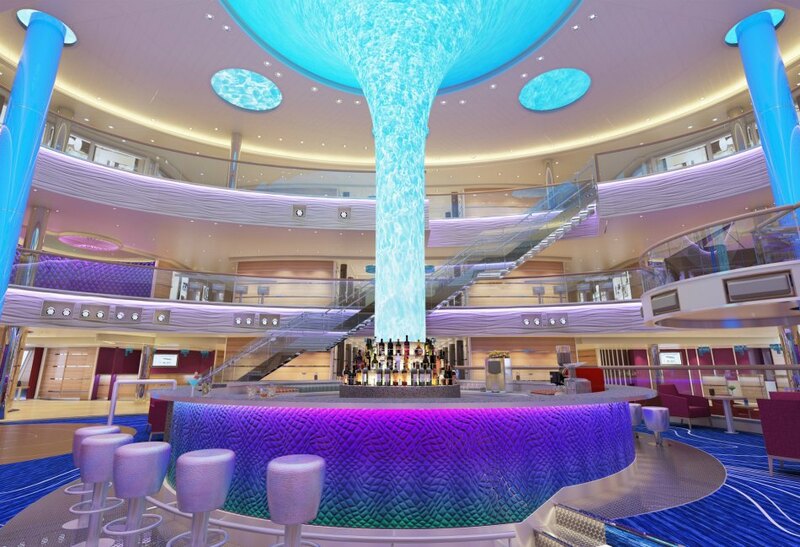 The 4000-passenger, 133,500-tonne cruise ship will offer signature Carnival features along with firsts-at-sea like the IMAX theatre, Skyride- an extraordinary peddled roller coaster bike ride, the biggest SportsSquare sport complex, Havana cabins complex with pool, lounge and individual bar, and Family Harbor staterooms too. 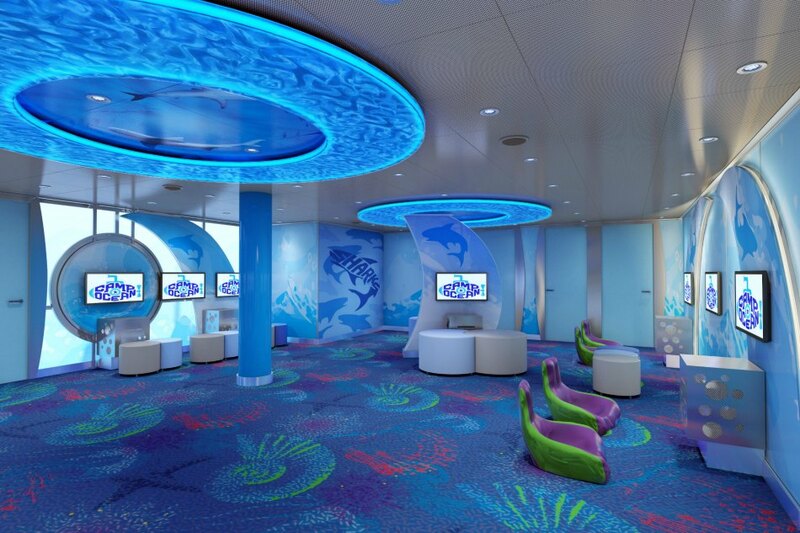 The line, long known for its abundance of entertainment, is not holding back on new fun features with Horizon; passengers will find SkyRide onboard, the industry’s first open-air, pedal-powered aerial ride. Riders will climb onboard a hanging bike and cycle their way around the 800ft suspended track, 150 feet above sea level. An alternative for adrenaline-seekers will be the SkyCourse ropes circuit which will be a part of the SportSquare, along with SkyRide. 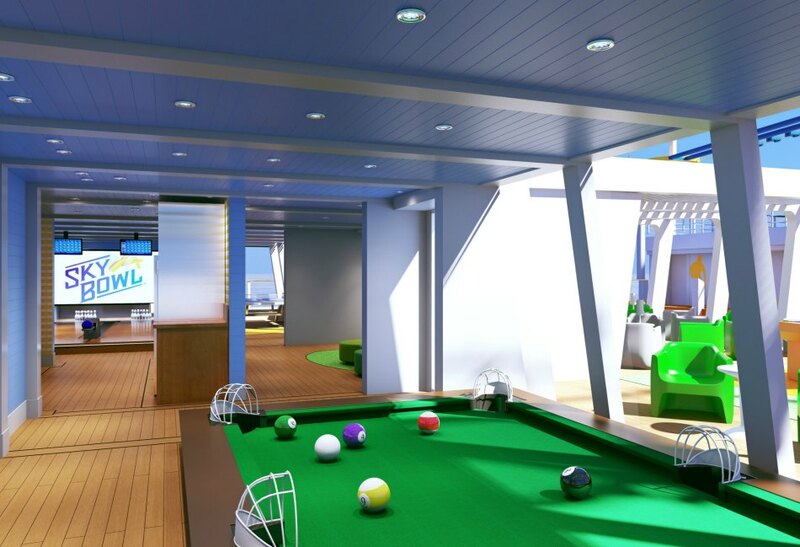 This will include an indoor hangout, mini-bowling, The Clubhouse, Ping-pong, sports video gaming, arcade basketball and more. Guests can also expect the biggest Carnival WaterWorks park which will include an enclosed Kaleid-O-Slide water tube with 455ft of turns and twists. 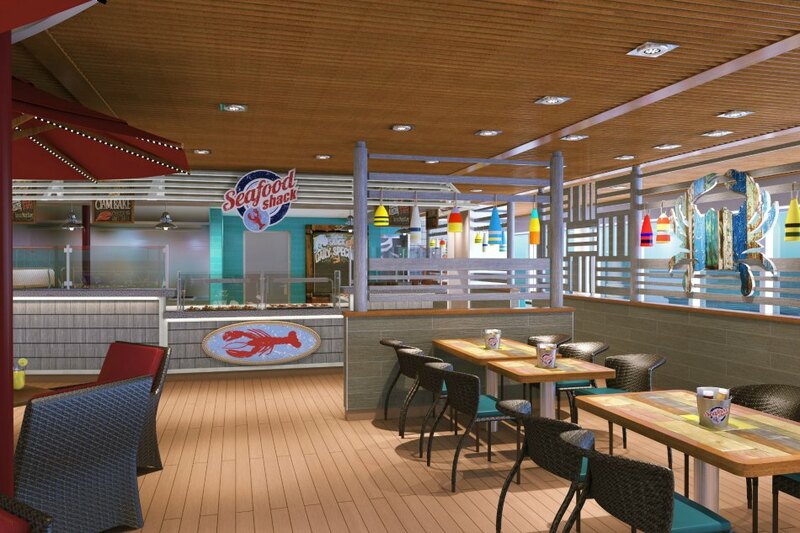 Carnival Horizon offers two main dining rooms, Horizons and Reflections, and seafood lovers will also be pampered with the Seafood Shack. 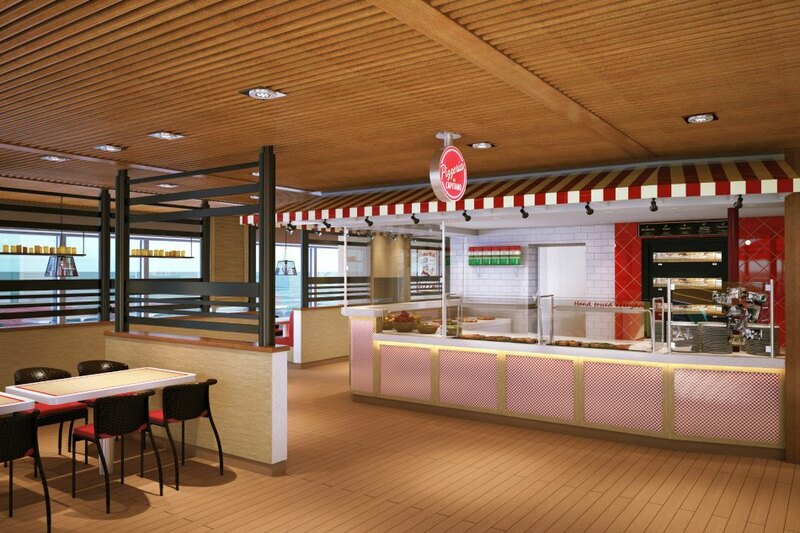 This will be brand new to Carnival fleet and will be a New England-inspired casual eatery located on the ship’s top deck. 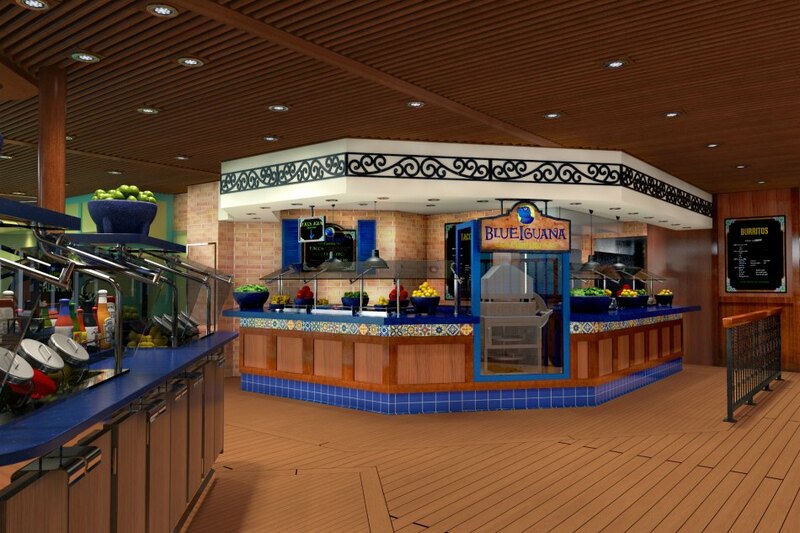 Another option for guests will be Chef’s table, a dining experience that will afford a dozen guests to experience a multicourse dinner with the master chef, private cocktail reception and a tour of the galley. 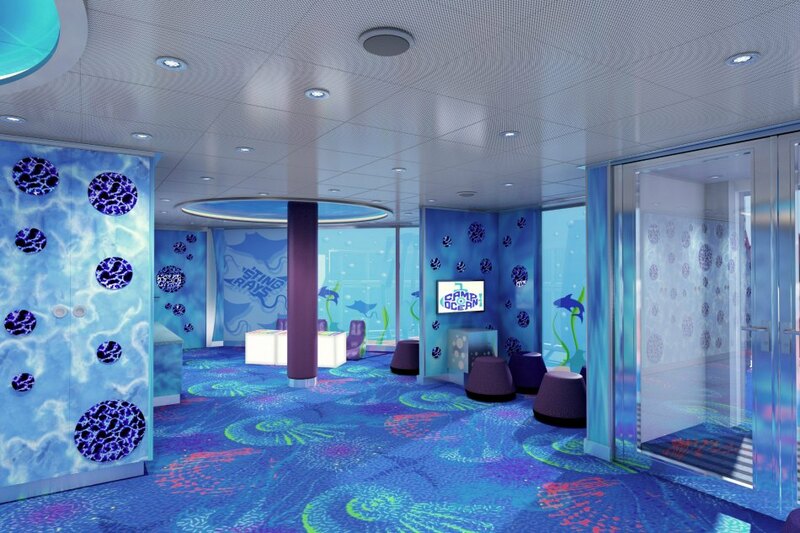 This exclusive option will typically take place in a non-traditional venue, such as the library or the galley. 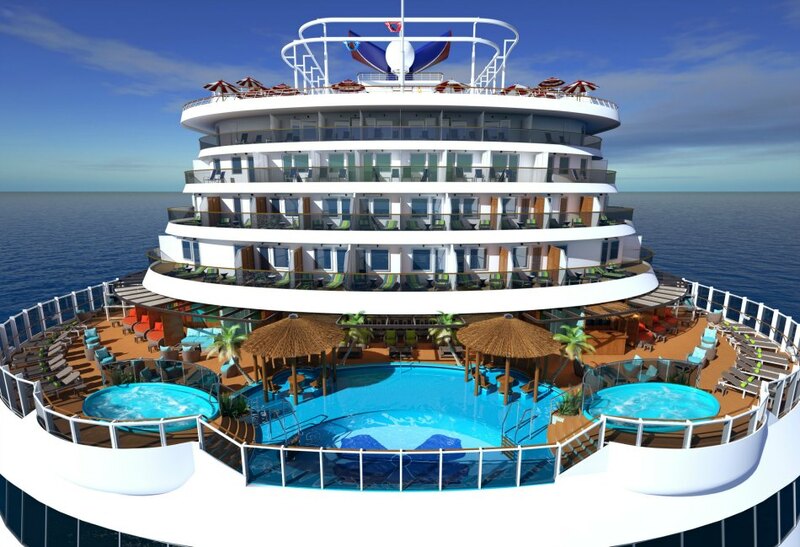 Carnival Horizon will debut in March 2018 as the 26th and largest ship in the line’s fleet, together with sister ship Vista and Dream-class vessels Breeze, Magic and Dream. 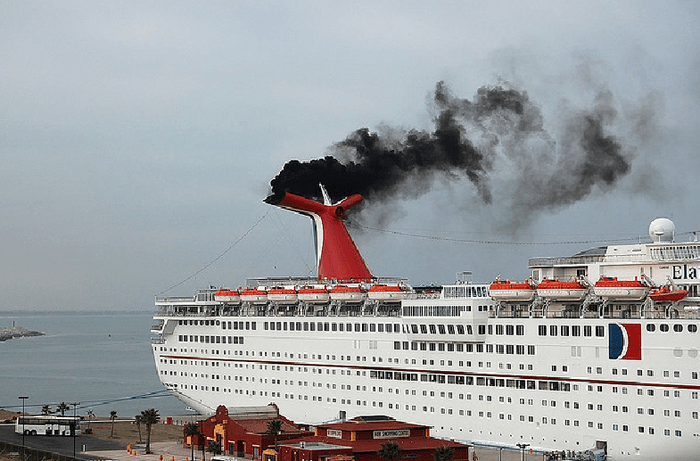 Carnival Corp. has settled with the Alaska Department of Environmental Conservation over allegations that Carnival Cruise Line violated Alaska’s standards that regulate visible air pollution from marine vessels. 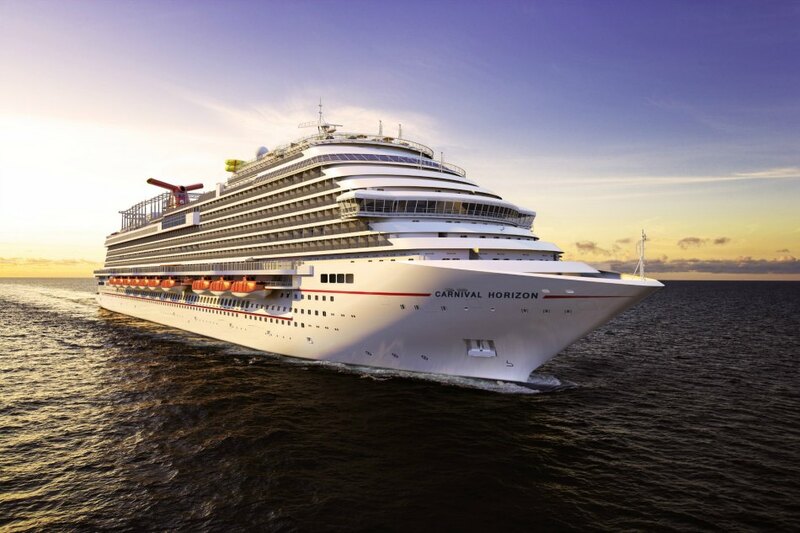 The disclosure was made in Carnival’s 2016 annual report filed with securities regulators. Carnival said Alaska in 2015 issued notices of violation to all major cruise lines operating in Alaska, including its Princess Cruises and Holland America Line brands, the two biggest lines in the market. 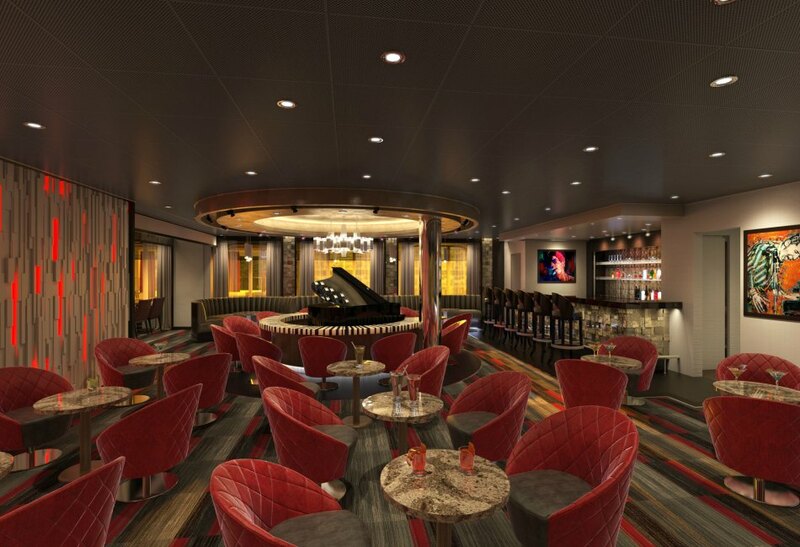 Azamara Club Cruises plans to deepen its brand identity as an immersive, destination-oriented cruise line by adding more opportunities for passengers to connect locally on shore excursions and by offering more overnight and late-night port stays. 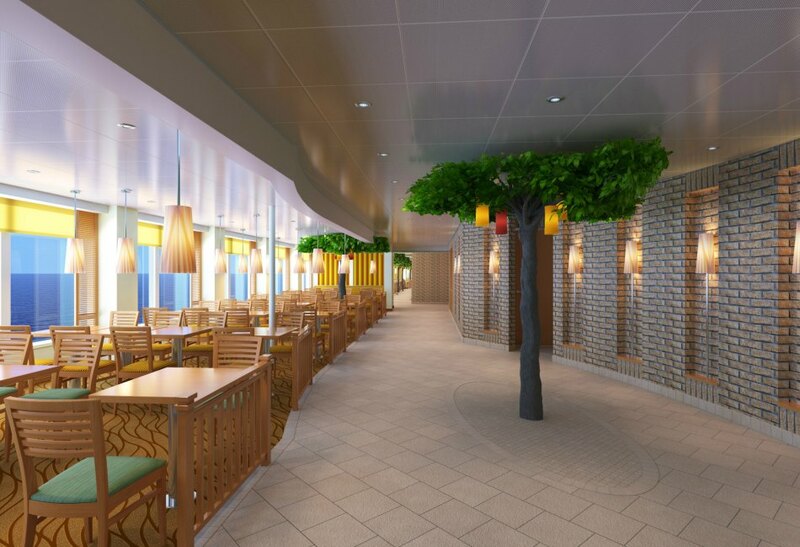 The two-ship line (Azamara operates the 700-passenger Quest and Journey) will offer over one thousand destination experiences “that can’t be Googled or found anywhere else because we’re creating them,” Pimentel said. 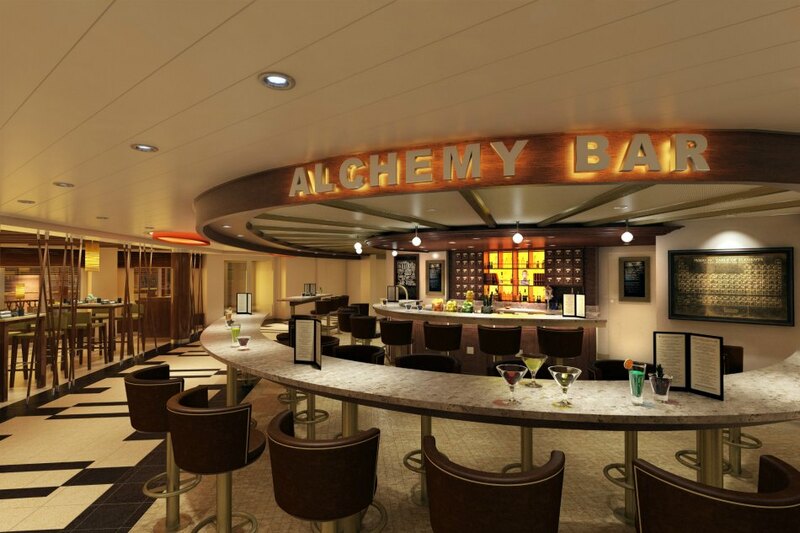 It will include over 250 overnight and late-night stays (8 p.m. or later) in ports, which is roughly 50% of all its port calls, in a total of 70 countries. 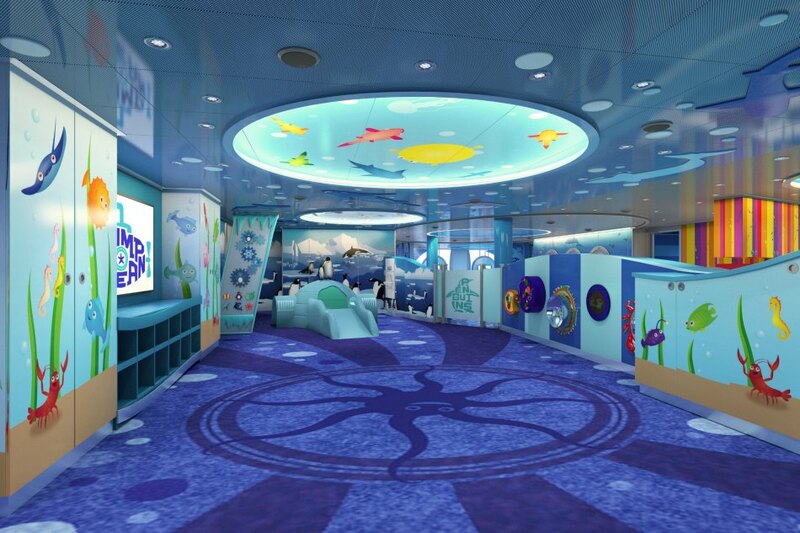 He also said that over 50% of the ports on its itineraries are ones where larger ships can’t dock. 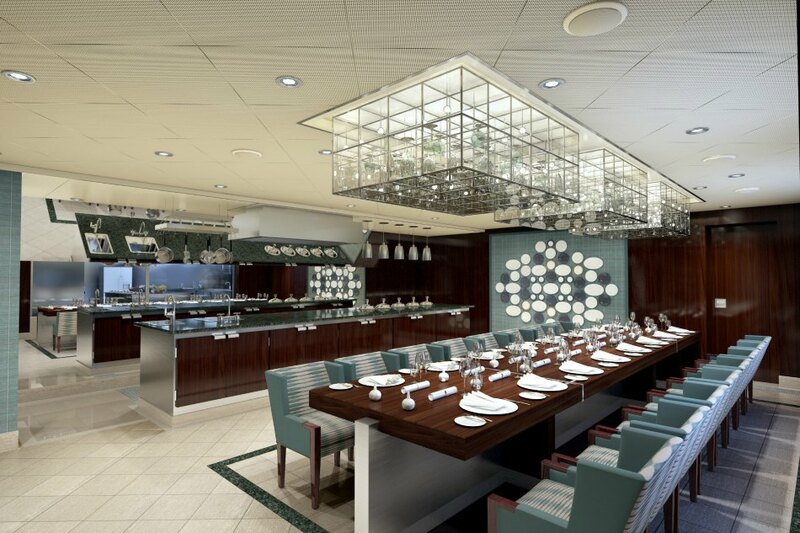 Azamara’s immersive program includes Country Intensive Voyages, a product that will allow guests to experience more of a given country, as the majority of the destinations are concentrated in one country such as Japan, Italy, Spain, Norway, New Zealand, Australia, Greece or Croatia. 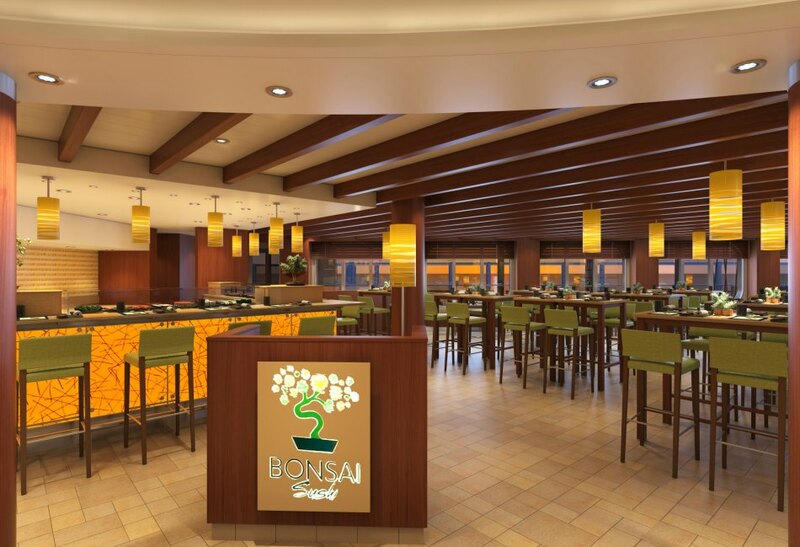 Another new point of emphasis will be “Cruise Global, Connect Local,” a series of land programs that are designed to deliver personalized and authentic experiences. Programs are built around biking, golf, food, local celebrations and site-specific wildlife and wilderness tours, as well as overland tours either during the voyage or pre- and post-cruise. 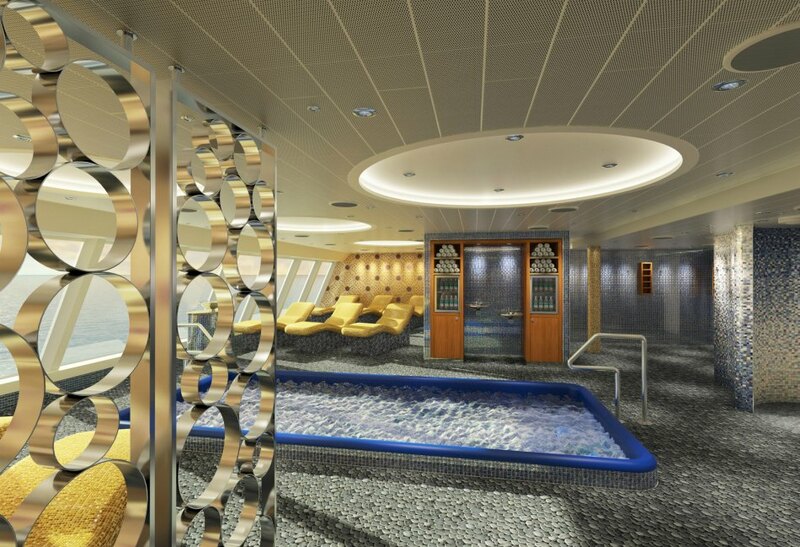 There will also be a program called Meet Local, involving immersive cultural experiences that offer people-to-people connections at the homes, farms and villas of local families, Azamara said. 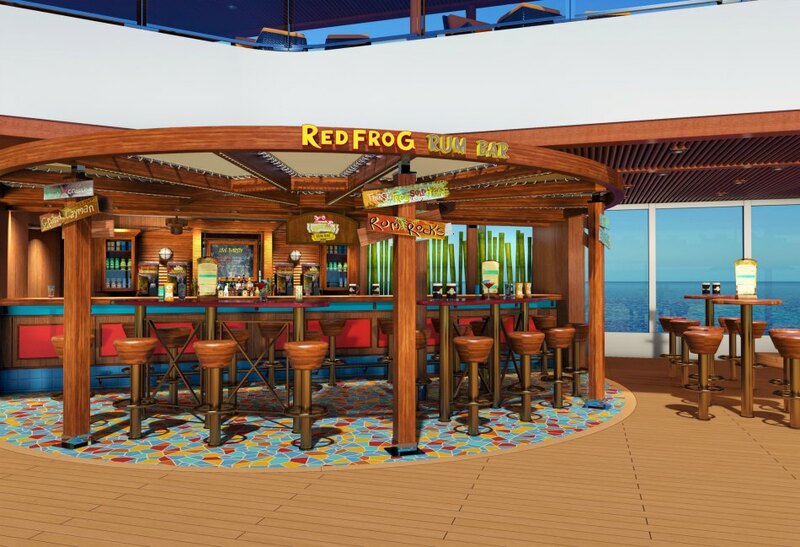 “Our land product will be curated to ensure guests get to connect in a personalized and unique way with the people in the destinations they visit,” Pimentel said. 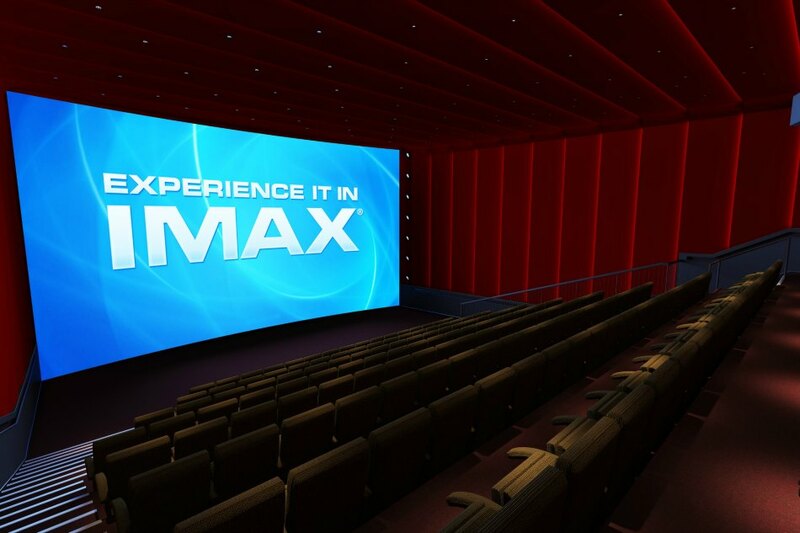 Onboard programming will be augmented to present more information than ever on local destinations ranging from local culinary and beverage selections to travel movies, lecturers and panel discussions on destinations and other relevant topics, as well as entertainment.